Adriana Mosquera Soto, a.k.a. Nani, is a Spanish-Colombian biologist, cartoonist and author. 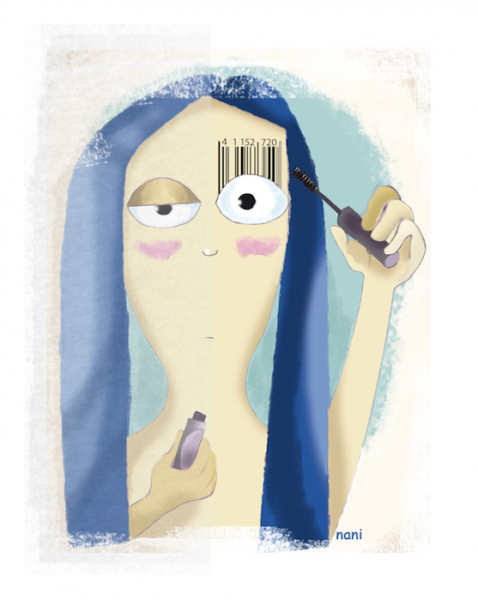 From a feminine point of view, her cartoons deal with the news, economics, and social inequalities. She has published 14 books that are sold throughout Ibero-America and her vignettes have illustrated books to teach Spanish around the world. She collaborates with the International Red Cross, in the fight against the abuse of women and has created multiple campaigns through Spain and Colombia to raise awareness against racism and discrimination. Her cartoons are currently part of a traveling exhibition of 50 female cartoonists, making female cartoonists visible in the world. She has exhibited her work in the most prestigious universities in Colombia, Spain, and Mexico, as well as the Museum of Modern Art in Bogotá. In 2015, she was the first woman to have a solo exhibition at the Museum of Caricature in Mexico City. She is part of the organization Cartooning for Peace and is the Honorary Professor of Humor at the University of Alcalá de Henares (Spain, 1998). She has also won several international awards in Cuba, Mexico, Argentina, Colombia and Spain.